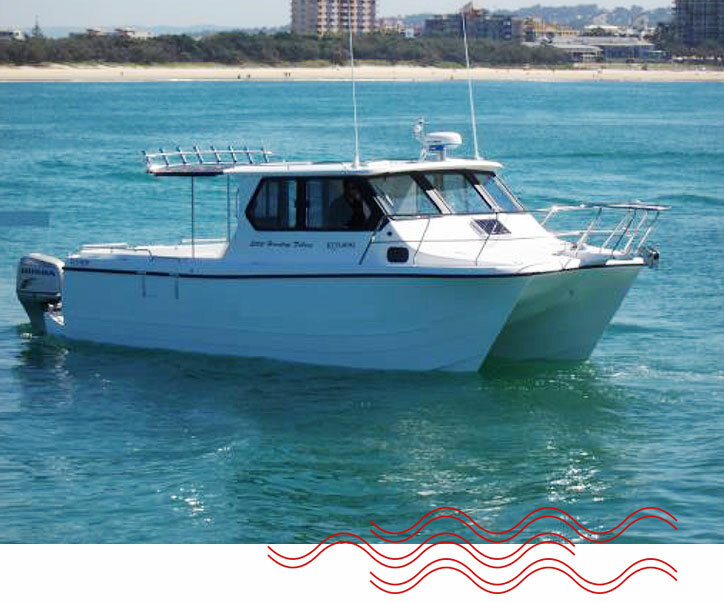 The 8.2 Metre features a wide 3.2m beam which translates to a massive amount of deck space. A feature which has not gone unnoticed by commercial operators over the years. 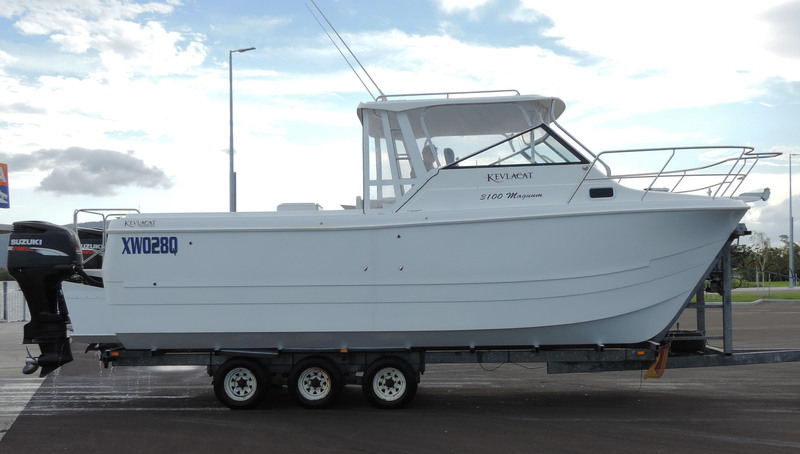 This has always been a popular boat among professional fisherman due to it unparalleled stability and performance. 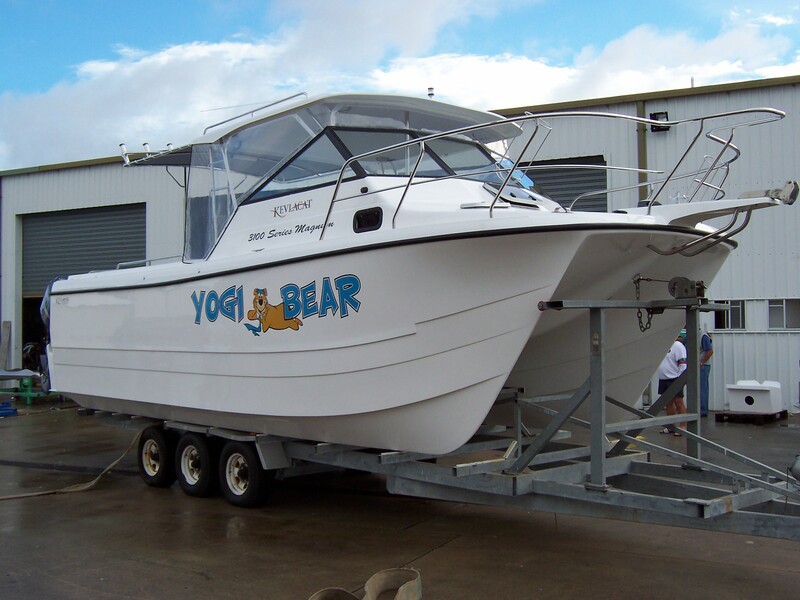 In recent times however, the 8.2 has also been popular with the recreational sector with a cabin configuration to suit all requirements available. Whether it be an enclosed hardtop, open hardtop or cuddy cab, there is sure to be a layout that suits. 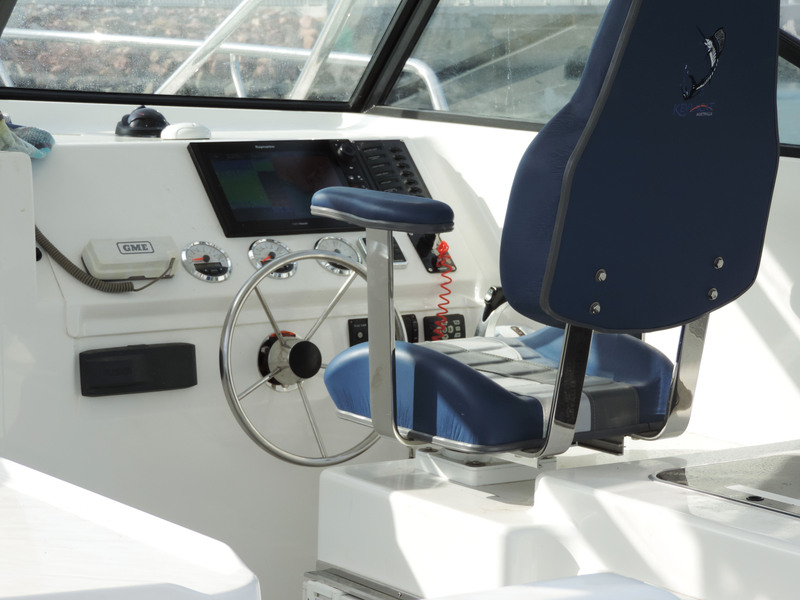 Power options are also extensive with outboards, sterndrives and shaftdrives all available. You also have the choice of diesel or petrol. The extra beam on the 8.2 Metre is noticeable internally with plenty of room to fit all the amenities for a weekend at sea. The hull is constructed of glass reinforced vinylester and polyester isothalic resin and chopstrand, reinforced with two layers of Kevlar unidirectional materials, layered up to U.S.L. specifications. All bulkheads and bearers are made from G.R.P. reinforced and laminated to the hull with stiffeners. Balsa reinforcing to forward section of the tunnel. 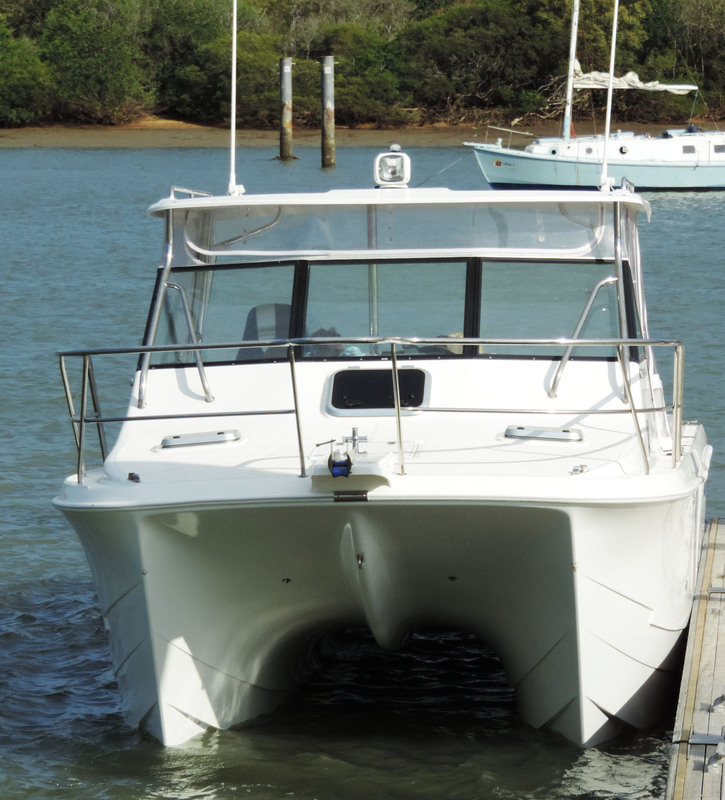 The transom is reinforced to 50mm thick to take all types of sterndrive engines. Superstructures F.R.P. chopped strand glass and divinycell core construction.